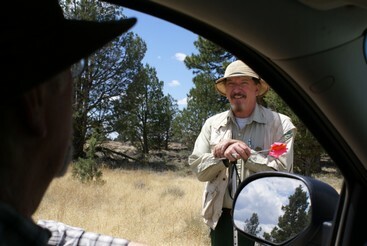 Gerry Gates, Forest Archaeologist on the Modoc National Forest, retires after 39 years! The Passport in Time Clearinghouse hates to say goodbye to one of our great PIT leaders, but the time has come for Gerry Gates to put away his trowel and move on to the next phase of his life! He has been leading PIT projects for over 20 years, starting in 1992 until his last this past summer. He has definitely made a difference to the PIT program and the U.S. Forest Service with 23 projects under his belt. 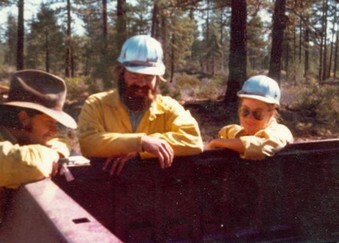 They ranged from studying lithic scatters to all other things "rock," with his Boles Creek Surveys where he and dedicated PIT volunteers investigated rock rings, rock stacks and rock art. We wish Gerry the best in his retirement, and hope that he remembers his years with PIT fondly!